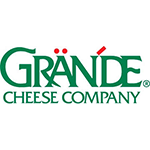 Grande Cheese | Favorite Foods, Inc.
Our heritage began over a century ago in the small village of Montelepre, Italy, on the sunny Mediterranean island of Sicily. It was there our founder, Filippo Candela, was born, and it was there he learned the art of making fine Italian cheese. Filippo’s passion for excellence and innovation lives on through all Grande Associates to this day, and his never-ending pursuit of greatness and innovation are the foundation on which we function.